March 29, 2012 - National Air Traffic Controllers Association President Paul Rinaldi welcomed the news that President Obama has nominated FAA Acting Administrator Michael Huerta to serve as administrator of the agency. “NATCA commends President Obama for nominating Michael Huerta as the administrator of the Federal Aviation Administration. We strongly support Mr. Huerta's selection and plan to work in any way we can to help him win confirmation. Michael P. Huerta is the acting Administrator of the Federal Aviation Administration. He was confirmed as deputy Administrator on June 23, 2010, and became acting Administrator upon the resignation of Randy Babbitt on December 6, 2011. President Obama had nominated Huerta as Deputy Administrator of the FAA. On January 26, 2010, Huerta appeared before Congress for his confirmation hearing, but his Congressional confirmation was held up by Texas Senator John Cornyn over fighter drones patrolling the Mexico–United States border near Corpus Christi. Huerta waited over five months for his Congressional confirmation, and on June 23, 2010, became Deputy Administrator of the FAA. As acting administrator, Huerta helped to oversee the operation of the National Airspace System and a $16 billion budget. 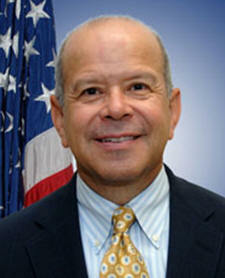 Huerta became acting Administrator of the FAA upon the resignation of Randy Babbitt on December 6, 2011. On December 5, 2011, Babbitt requested to take a leave of absence (granted) and was placed on administrative leave after being charged with drunk driving. He submitted his resignation as FAA Administrator on December 6, 2011. Huerta received his bachelor's degree in political science from the University of California-Riverside and his master's in international relations from the Woodrow Wilson School of Public and International Affairs at Princeton University. Huerta was commissioner of New York City's Department of Ports, International Trade and Commerce from 1986-89. In January 1989, he left to serve as the executive director of the Port of San Francisco until 1993. From 1993-98, he held senior positions at the United States Department of Transportation in Washington, serving under Secretaries Federico Pena and Rodney E. Slater during the Clinton Administration. Huerta worked as a Managing Director with the Salt Lake Organizing Committee for the 2002 Olympic Winter Games, prepared Salt Lake City's transportation outlets for the Olympics. Huerta was involved in the planning and construction of a variety of Olympic transportation facilities, as well as the development of a highly successful travel demand management system that insured the transportation system operated safely and efficiently. From 2002-2009, Huerta was Group President of the Transportation Solutions Group at Affiliated Computer Services, a Xerox subsidiary specializing in business processes and information technology.